Home » Posts » Science » Earth Science » Recording a seismic wave – What’s new? Recording a seismic wave – What’s new? Streamers are an essential part in the marine seismic experiment. 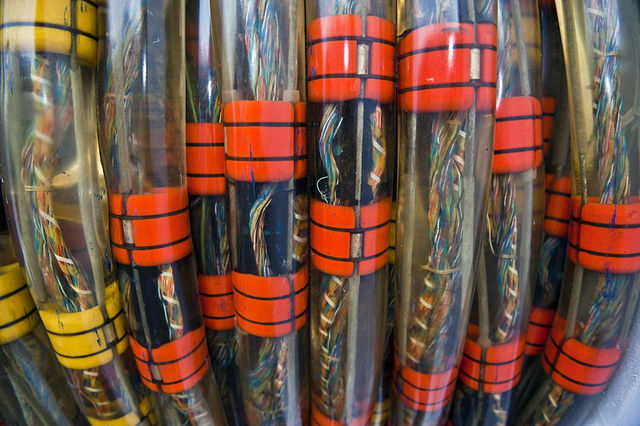 When I first came into geophysics, I learned that streamers are fluid-filled hoses with pressure probes. This might be right in the case of our streamer at the university which isn’t quite up to par with the newest developments out in the industry. Streamers are designed to be buoyancy neutral and therefore stay at a certain depth. This will keep fluid-filled streamers at approximately the same depth to some degree this can be steered with devices designed to this purpose (we call them bird). While in operation, these fluid-filled streamers can be towed in maximum depth of 25m ftp://ftp.earth.ox.ac.uk/pub/tony/mohammed/SealSystemSpecifications.pdf. Typical towing depths are around 10m to 15m. This can be problematic especially in side currents that will deflect the streamer or tough weather conditions where operation is nearly impossible. These also cause the streamer to move. Fluid-filled hoses have some major disadvantages when it comes to towing them in the seas. These pressure probes are supposed to pick up seismic signals from the subsurface. However the fluids in the streamer will be subject to their own pressure variations causing noise that masks the seismic signal. Also there is an effect that stems from side currents that is called swell noise. 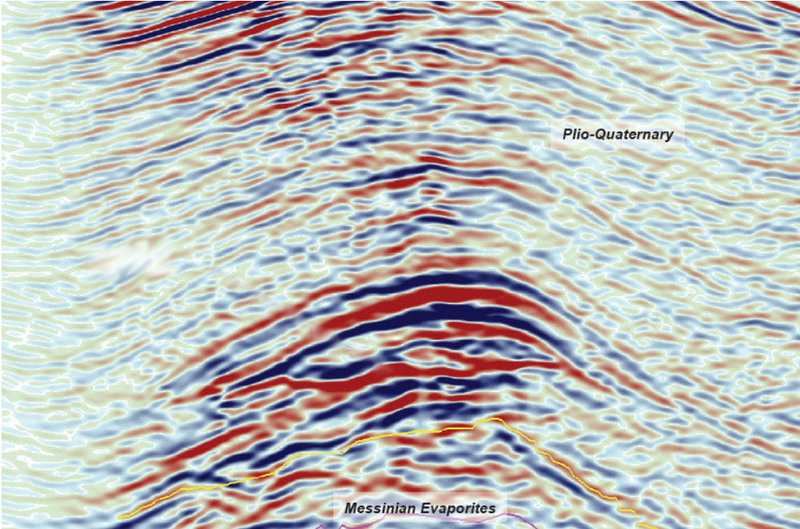 The flow of water around the circular streamer geometry will cause turbulent flow patterns in the shadow of the streamer that are one of the biggest nuisances in the seismic industry. There has been a lot of work in the optimization of streamers so when we talk about streamers and think about that fluid-filled style you’re a couple of years behind technology. The modern day streamer is solid. Usually it’s some kind of foam that will also be buoyancy neutral. 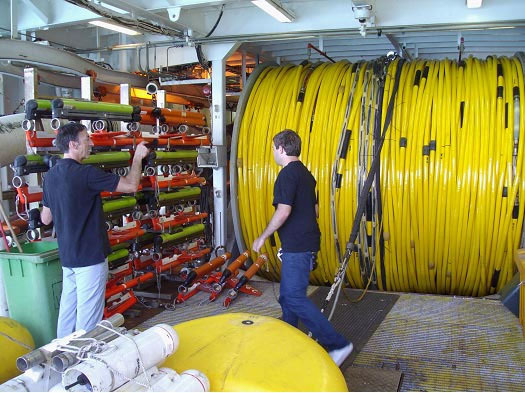 However, these streamers can be operated at depths of 50m and if systems fail it can even survive in depths of 250m. Quite frankly this is one of the major advantages when it comes to streamer design: We have a lot of variability. In tough weather conditions we can tow the streamer deep down where noise doesn’t affect our recording as much, which is quite an issue. Running a seismic vessel costs a good fortune with high six digit numbers cost per day (around $750,000), spreading the variety of occasions where these vessels can operate is key when it comes to running a succesful business. Another nice thing about solid streamers is the ability to shape the streamer profile more accurate and adjust the surface so we can reduce noise even more. The new generation of streamers includes some more developments that take seismics up a notch. Maybe you remember my article introducing you to seismics. I was talking about streamers and also told you how pressure probes, called hydrophones,are used to record sound waves. This is quite cool but unfortunately pressure is a non directional physical quantity. These sound waves from the subsurface will travel back up to the streamers, be recorded and travel further to the water surface, once again get reflected and travel back down, get recorded from the streamer – stop. So if we got it right up to this point, there is a wave happily bouncing up and down with redundant information from the subsurface. Since this wave has been recorded before and arrives just a little later back from the water surface just that same bit of information from the subsurface will be recorded twice with very little time in between. So we have an image from the subsurface with some sort of shadow, which is how it came to the humorous name ghost. There has been a lot of work involved in deghosting seismic data, which is just getting rid of the seismic ghost. However, since pressure probes cannot record any directionality, there is no way to know whether this piece of the image is wanted information or ghost. Personally, I always believed it had to be this way because pressure is non directional, so we can’t get any directional information for our seismic data. Yet, the newest development in streamer technology provides directional information, but how do they do this magic trick? The pressure does not have directionality but we can have a look at the wave itself, which moves into one direction and hence has directionality. It’s pretty easy to measure this using a simple accelerometer, but the vibration of the streamer has masked any seismic measurement to the point of unrecognisability. So actually, the real question should be: “Why haven’t they done this before?”. Geophysicists have known for quite a bit that differentiating between upgoing and downgoing waves would be very nice to have. However, the noises introduced in the fluid-filled streamers have made any sensors that were designed to measure this directionality fail. With the new solid streamers we can actually record the directionality of the wavefield and therefore differentiate between upgoing and downgoing wavefields. This helps a lot with deghosting but can also have a couple other nice side-effects. We will explore these effects further in the next post. Posted in Earth Science and tagged seismic, seismic acquisition.